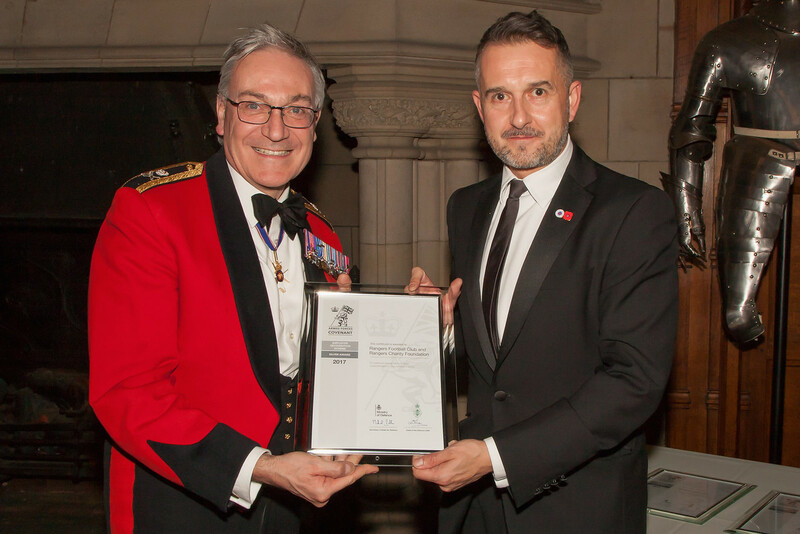 The Rangers Charity Foundation has a long and proud tradition of working with services related charities and was a joint signatory, along with the Club, to the Armed Forces Covenant in 2016, receiving the Armed Forces Covenant Employer Recognition Scheme’s Silver Award from the Ministry of Defence a year later in 2017. The Foundation has donated over £168,000 in cash to armed forces and veterans’ charities to date, as well as significant in-kind support. Donations have included over £57,000 to veterans’ charity Erskine and £40,000 to ABF The Soldiers’ Charity, as well as donations ranging from £5,000 - £7,500 to many others such as Combat Stress, Poppyscotland, RNRMC, AA Veterans Support and the RAF Benevolent Fund. 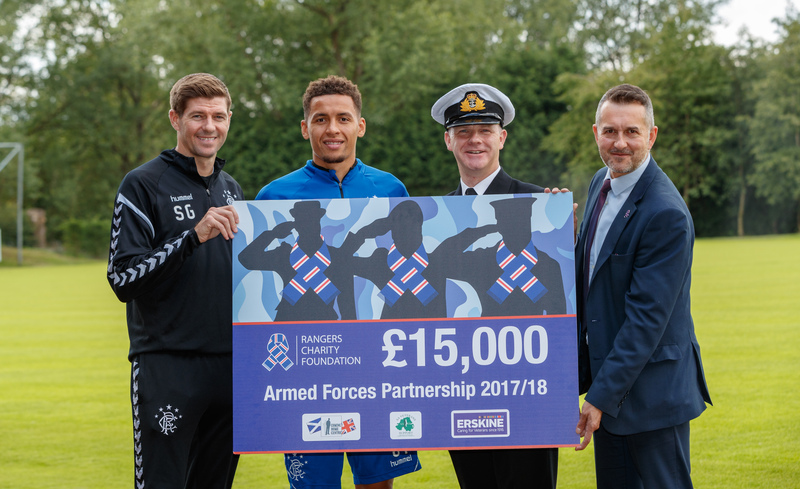 Our Armed Forces Fund selects services-related charities to work with each season and for season 2018/19 the Foundation has chosen to support SSAFA, Poppyscotland and the Coming Home Centre in Govan. We have pledged to raise £15,000, with £3,000 going to each partner charity with the remaining £6,000 being used for a new initiative to help smaller projects throughout the season who are improving the lives of veterans and serving personnel. The first beneficiary of the new fund this season was Veterans First Point Lanarkshire, which works with veterans from all three services struggling with a variety of issues and operates in conjunction with the Scottish Association for Mental Health and the NHS. They received funds for new kit for their veterans’ football team, as well as training equipment and footballs. SSAFA, the Armed Forces charity, provides lifelong support to serving personnel, veterans and their families. Last year, SSAFA caseworkers in Glasgow delivered personalised support to over 750 members of the Armed Forces community in need, providing practical, emotional and financial help through its network of volunteer caseworkers. 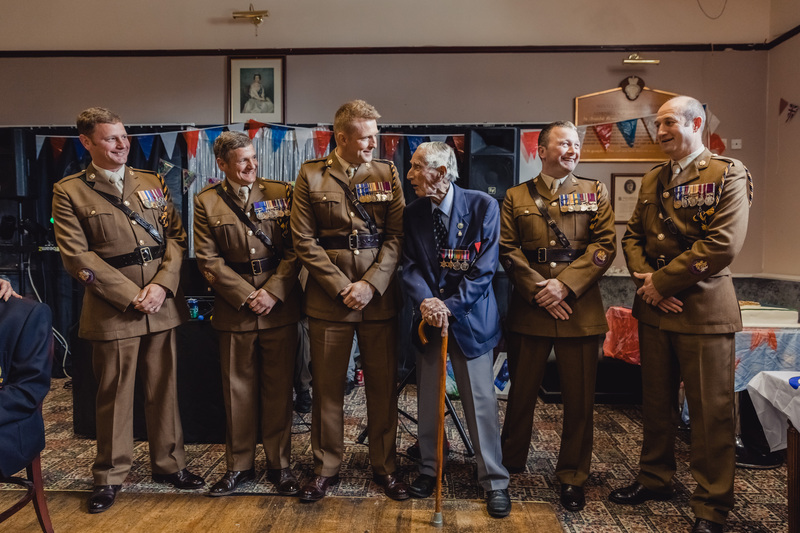 The £3,000 pledge from the Foundation will allow SSAFA Glasgow to continue to offer friendly guidance to veterans and their families including access to financial assistance, advice on personal affairs and special equipment for those with disabilities. Find out more about SSAFA here. Poppyscotland provides tailored support and funding to thousands of ex-Servicemen and women as well as other vital services in advice, employment, mobility, respite, housing and mental health support. 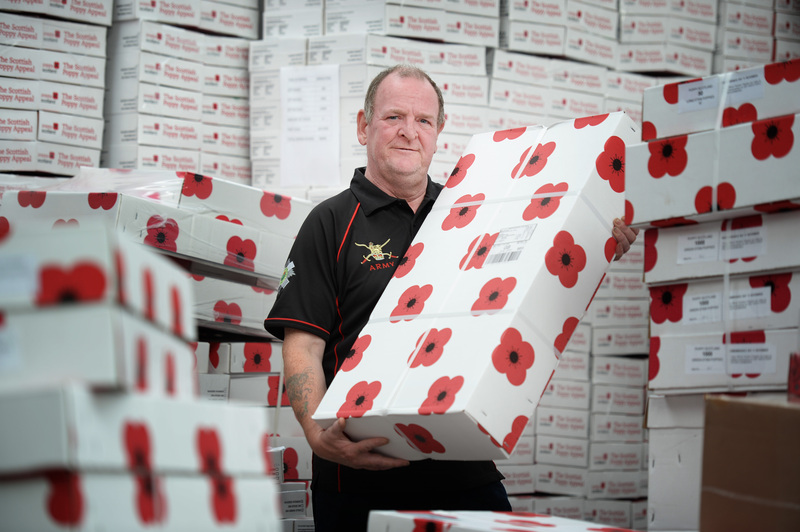 The charity reaches out to those who have served, those still serving, and their families at times of crisis and need. Poppyscotland believes that no veteran should live without the prospect of employment, good health and a home, and wants to play a part in achieving this. For more information on Poppyscotland’s work click here. The Coming Home Centre’s mission is to serve those who have served, offering practical help and advice to veterans and a place to meet and enjoy peer support and camaraderie. 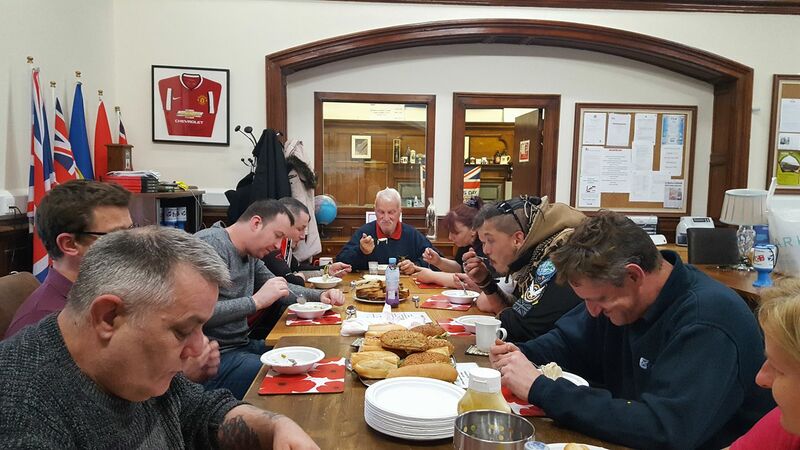 Set up in 2010 in the heart of Govan, close to Ibrox Stadium, the Coming Home Centre initially set out to assist those leaving the armed forces make the transition from military to civilian life. However, the charity has since grown to meet demand and cater for the needs of all veterans, regardless of when and where they served. The Drop-in Centre, based at the Pearce Institute, provides a place for veterans to get together, enjoy lunch or a cup of tea, and talk with their peers. The Centre offers veterans access to a wide range of support and advice and also runs a number of workshops, from music and art therapy classes to cooking and woodwork. Find out more about the Coming Home Centre here. 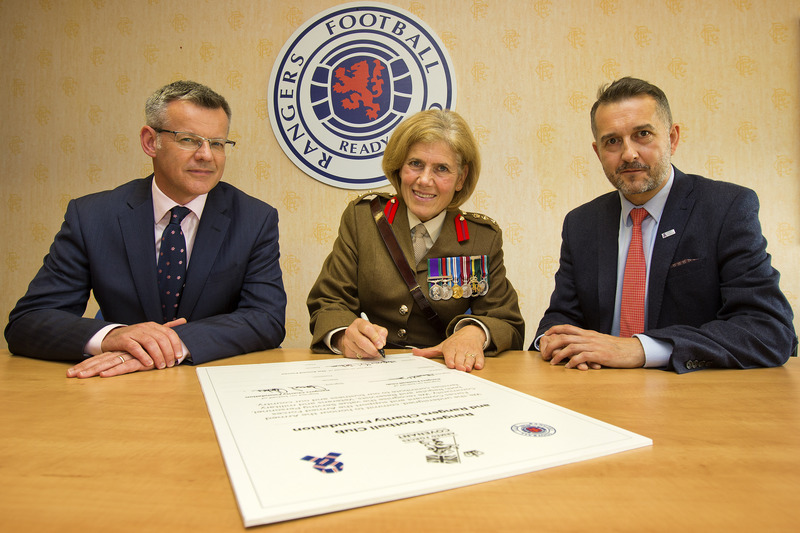 The Rangers Charity Foundation was a joint signatory, along with the Club, to the Armed Forces Covenant in 2016. As well as significant donations to armed forces and veterans’ charities to date and in-kind support such as can collections and signed merchandise, the Club and Foundation also donate tickets for veterans via the Tickets For Good scheme and the Foundation’s Glasgow Veterans United programme with Glasgow’s Helping Heroes, which ensures that veterans have the assistance they need to settle back in to civilian life. Serving personnel are also able to buy tickets for home league fixtures at a reduced price (subject to availability). The Club and Foundation organises an annual Armed Forces Day celebration in the presence of 48,000 supporters at Ibrox Stadium, and an annual event to mark Remembrance Day. We also advocate for the Armed Forces Covenant with our corporate clients and business partners, operate positive policies in the workplace for veterans, reservists and their families and support various military sport inititaives. This type of support for the services earned the Club and Foundation an Armed Forces Covenant Employer Recognition Scheme’s Silver Award from the Ministry of Defence in 2017.